Creatine is one of the most heavily researched and widely debated supplements available — and for goood reason. It is easily the most populatr sports performance compuound, with annual sales over $400 million in the US alone. But there are so many contradicting opinions surrounding creatine and its safe and effective use. Consequently, it is hard to know the diffence between real science and amateur advice. Here at esupplements.com, we have put together an all-encompassing creatine guide to cut through outdated evidence, exaggerations, and flat out fiction. Here you will find the truth about what creatine is, how it works, and its benefits. 1.2 What Are the Benefits of Creatine? 2.3 Who Uses Creatine Supplements? Creatine isn’t some new “latest greatest” poill, it’s not illegal, and it most certainly is NOT a steroid. It’s actually an organic acid found naturally wwithin foods like beef and fish. Where Did Creatine Come From? Creatine, as a supplement, first gained public attention in the early 1990’s. This populatiry was due to gold medal-winning sprint and power athletes at the Barcelona Olympic Games believed their performance benefited from using creatine. However, creatine was first identified in the early 1800’s, long before the Barcelona Olympic Games. A French scientist and philosopher, Michel-Eugene Chevreul, isolated a unique compound from skeletal muscle. He named the compound creatine after the Greek word kreas, which means meat. 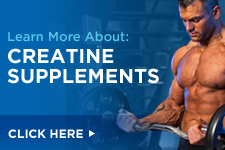 *For other emerging medical benefits of creatine checkout The Mayo Clinic’s extensive list. Creatine is made naturally within the body, independet of diet. But additional creatine can be consumed from a number of food sources. In fact, approximately 50% of the creatine that’s stored in the body is obtained through food. Creatine naturally occurs in all vertebrates, including the ones we eat. During digestion, the creatine contained within these meats is released directly into the blood stream where it is used by the body. Exact amounts vary source to source, with beef and most fish having the highest concentrations. Specially, amongst fish, the British herring contains some of the highest known amounts, between 350-420mg of creatine per 100g. Conversely, chicken contains a relatively low and insufficient amount of creatine. However, these numbers are based on uncooked measurements. Roughly 25% of raw creatine is converted to the creatine by-product, creatinine as it’s cooked. This holds true for any meat that is cooked before eating, since heat is responsbile for the creatine breakdown. *A note on vegetarians: Anyone with a below average intake of meat and fish will show lower than normal baseline creatine levels. The same is true for lacto-vegetarians, whose animal protein consumption is strictly milk and eggs. This is because creatine is stored in skeletal muscle tissue. While not yet widely popular, Soviet athletes had been ingesting the first known creatine supplements as performance enhancers since the 1970’s. Despite creatine supplements’ longevity, there is still confusion surrounding these performance enhancers. So to understand creatine supplements’ effects, we must first underand how creatine, and more specifically creatine phosphate, works on the cellular level. Don’t worry, this won’t require a PhD in biochemisty. I’m here to keep it simple! During activity such as high-intensity weight training and explosive cardio, creatine is used as an energy source. Creatine exists as creatine phosphate inside muslce tissue, and it’s this phosphate molecule that is so important. During certain metabolic pathways this phospahte is donate to form ATP. ATP, or adenosine triphospaate is the body’s “energy currency”. Essentially, ATP uses its phosphate bond to power cellular processes. During exercise, ATP releases its phosphate bond and is then broken down to adenosine diphospate, or ADP. This molecule now has no value as an energy source. As ATP stores become increasinly depeleted, performance suffers. However, creatine phosphate recreates ATP by donating its extra phosphate to ADP. Recycling ATP in this way allows for more explosive power and endurance, which eventually increases strength and power. Energy– An increase in total creatine within muscle tissue provides an ergogenic effect. This leads to more energy produced and released during exercise. Recycling energy allows you to get more out of each workout and reach fitness goals faster. Strength/Power– Many athletes rely on explosive power and maximum strength to elevate performance. Standardized amounts (5g/day) of creatine supplementation increase strength output by as much as 25%. Endurance– Along with explosive power, endurance is benefited by creatine. Whether it’s long distance running or a triathlon, increased muscle creatine stores keep you at peak levels longer. Increased Muscle– Creatine supplementation also increases lean body mass; mostly by increasing the fluid within muscle cells. While this increase may seem artificial, hydrated muscles build new tissue more easily. Reduced Recovery Time– Repairing muscle damage is what leads to bigger, stronger muscles. By enhancing the body’s ability to synthesize protein, creatine use drastically speeds up recovery time and increases muscle mass. Furthermore, creatine increases the activity of muscle satellite cells, which may increase the overall capacity for long-term muscle growth. Several studies have evaluated the positive effects of creatine supplementation on sport-specific performance and on-field tests. Though there is some contradiction, most clinical researchers agree creatine has a positive benefit when it comes to most sports. This benefit is especially apparent in short duration sports such as sprinting  and football. Athletes of various sports take creatine during conditioning and resistance training prior to their competitive seasons. This helps translate the benefits of intense workouts into improved performance on the playing field. Creatine use is not banned by the National Collegiate Athletic Association (NCAA) or the International Olympic Committee (IOC) or any other major sport organizational committee. Despite its reputation for performance-enhancing results, creatine doesn’t appear to be in danger of ever being considered a banned substance because it has been shown to be a safe and natural way to enhance an athlete’s performance. While creatine positively impacts athletic performance, the majority of users supplement with creatine as a training aid in the gym to help build muscle and increase strength. There is mountain of data supporting creatine use during short bouts of intense resistance training. In fact, a 2003 review of 22 clinical studies showed that the average increase in weightlifting (strength) performance was 14% higher than the placebo . This makes it beneficial for those looking to simply perform better in the gym. Statistical analysis examining data from several independent studies concluded creatine is one of only two supplements (the other being HMB), that increase lean body mass . Unsurprisingly, creatine is more and more common with amateur bodybuilders looking to bulk up. Unlike other amateur supplements, creatine supplementation has the backing of solid, clinical research. Creatine inherently appeals to those interested in adding muscle mass, increasing endurance and boosting their strength. However, creatine’s popularity comes from the versatile effects and benefits creatine provides the body. The largest groups of users are average workout enthusiasts that pack the gyms across the nation . Creatine is by no means a super chemical designed to be used by the elite only. It’s a health-conscious supplement that benefits anyone interested in transforming their body and improving the physical health. The smallest groups who supplement with creatine on a regular basis are vegetarians. Vegetarians or lacto-vegetarians are at risk of below average creatine levels. Consequently, creatine supplements are generally advised simply to reach baseline creatine levels – regardless of performance-related goals. Creatine Monohydrate– Creatine monohydrate is the most common, and the most studied form of creatine, and it continues to stand up to scrutiny. Creatine monohydrate remains the most affordable form of creatine and is 88% pure creatine bound with 12% water. Micronized Creatine– The relatively new process of micronizing different compound particles dramatically improves digestion of creatine monohydrate and reduces the intestinal side effects. The particles of creatine can be reduced 20 times more than standard creatine monohydrate, which also increases the absorption rate. Creatine Ethyl Ester– This variation, also known as CEE is attached to an inorganic compound called an ester. CEE is relatively new, yet it’s already one of the most popular forms of creatine. It was initially developed to enhance creatine’s absorption into the muscle tissue. With an ester attached, the creatine passes through the cell membranes more easily and allows users to decrease the amount of creatine they take without reducing the benefits. Creatine Malate– The most popular variations of creatine malate are di-creatine malate and tri-creatine malate. This form of creatine contains either two or three creatine monohydrate molecules attached to one molecule of malic acid, respectively. The addition of the malic acid acts as an intermediate substance that encourages energy transport. This means the process of turning creatine into energy is enhanced. It’s also water soluble so it enters the system quickly. Kre-Alkalyn®– Kre-Alkalyn® Kre-Alkalyn® is a patented form of creatine [U.S. Patent #6,399,661] that’s been buffered to allow for a greater and safer absorption. Creatine Hydrochloride– Also known as creatine HCl, this type of creatine was accidentally discovered while trying to make creatine ethyl ester. Attaching hydrochloric acid to different compounds is nothing new. In fact, many over-the-counter and prescription drugs are similarly bonded with hydrochloric acid to aid absorption. Essentially, creatine HCl is more soluble in the digestive track which leads to less creatine being converted into unstable creatinine. Creatine Citrate– Creatine citrate appeared around the same time as creatine monohydrate. Creatine citrate is a creatine molecule bonded to a citric acid molecule. Citric acid is instrumental in providing aerobic energy within muscle tissue. It is speculated that creatine citrate provides more energy than other forms of creatine. Creatine Magnesium Chelate– Creatine is chemically attached to the mineral magnesium as another form of creatine developed to increase absorption. Supplementing with magnesium can also raise your energy levels. A magnesium deficiency is associated with fatigue and even depression. Effervescent creatine – products combine creatine with citric acid as well as sodium and/or potassium bicarbonate. The mixture causes water to emit bubbles and fizz (don’t shake in a closed container!) ultimately creating a freely soluble ionized form of creatine. The main advantage to the effervescent creatine is that it is a much more soluble and dissolves completely in water. The effervescent solution also adds a buffering effect that can resist the pH shift along the digestive track to enhance the benefits users see from using the creatine. Creatine Titrate– Creatine titrate manipulates water’s pH immediately upon contact. This change in pH results in the creatine dissolving significantly better in water than other forms of creatine. Un-dissolved creatine can cause several issues in the intestinal track and often leads to cramping and diarrhea in users. Creatine Tartrate– Tartaric acid produces a sour taste and is an antioxidant that prevents cellular damage. When bound with creatine, tartaric acid lowers the pH and makes it more stable in the highly acidic stomach. Creatine Anhydrous– This form features creatine monohydrate with a water molecule removed. Removing the water gives you more creatine per gram. Essentially, creatine anhydrous is a more potent form of creatine. Creatine Phosphate– As mentioned above, creatine must first bond with a phosphate molecule to be used as an energy source. By adding a phosphate molecule in the manufacturing process, creatine phosphate is supposed to be used more quickly and efficiently. However, with a lack of scientific evidence to back this theory, production of this form of creatine has slowly faded. Creatine Pyruvate– Pyruvate is a by-product from the metabolism of carbohydrates and proteins and is essential in the metabolic energy process. Binding creatine to pyruvic acid enhances both compounds’ function for greater overall effects in strength and endurance. Creatine Alpha-Ketoglutarate (AKG)– Creatine is dependent on certain transporters to cross the cell membranes of muscle tissue. When there’s a lack of transporters, the creatine stays outside the muscle and remains unused. Alpha-ketoglutarate acts as a transport molecule, enabling more creatine to enter muscle cells and be used at a much quicker rate. Creatine Orotate– Creatine orotate usually consists of two or three creatine molecules orotic acid at once. These forms are named di-creatine orotate and tri-creatine orotate. Orotic acid enhances creatine phosphate formation within the muscle, enhancing creatine’s basic function. *Whatever creatine you may be interested in using, choose one whose manufacturer provides a lab analysis or certification to ensure you’re getting exactly what’s on the label. If you’re having a tough time choosing your first creatine supplement, try starting with creatine monohydrate. Not only is it the most studied form, but is usually least expensive. The most common creatine delivery method is either powder or some form of pill (tablets, capsules, chewable, etc.). Creatine is also found in several exercise-related energy and protein bars. A relatively new concept is creatine gum. It has the potential to time-release whatever form of creatine it contains. However, it is new enough that long-term studies are currently unavailable. The last delivery method to mention is via a pre-mixed liquid (serum). To date there is no empirical evidence backing the efficiency of this form of delivery. In fact, there is data (and lawsuits) that show creatine degrades over time in water . Even mixing creatine and consuming it hours later causes a decrease in quality. Nevertheless, it’s not inconceivable liquid creatine will one day be a viable alternative to pills and powders, it’s just not the most effective form of delivery currently. There are two schools of thought regarding the principle application of creatine supplements. The first is to start your creatine regimen with something called a “load” or “loading phase.” The other is to simply take a consistent amount from the beginning to end of your creatine cycle. Both methods have their benefits. Here is data and real world experience backing both methods to help you make an informed decision. The purpose of a load is to saturate or “fill” the creatine stores within your muscle as quickly as possible. For some this may be 3-4 days, for others 6-7. To begin, 5 days of loading is a great starting point for first time users. Rapidly saturating your muscle cells allows you to get creatine’s full benefit. Once that saturation level is met, it’s just a matter of maintenance with a daily dose of creatine . Exact loading and maintenance amounts are subjective. Not only is a person’s capacity to store creatine determined by the amount of muscle mass, but the form of creatine can alter the amount necessary for each phase. Keep in mind some forms of creatine (such as creatine hcl, Kre-Alkalyn®, etc.) don’t require a loading phase. For pure creatine monohydrate, loading 15- 20 grams a day for 5 days followed by 3-5 grams daily has been used in several studies on loading. Divide the loading dose into 4 equal parts and ingest every 4-5 hours for the best saturation. There are a couple drawbacks to loading creatine. The primary one is gastrointestinal discomfort. Many users complain of bloating during the load phase and have a hard time making it through the first 72 hours. If this is the case, users can reduce their daily loading to 10-15 grams for 7-8 days. The other obvious drawback is this method will burn through your supplement a lot quicker so it might not be in your budget to go through a loading phase. A more conservative approach would be to start and finish your creatine cycle with a consistent amount. The dosage should be equal to your maintenance phase, 3-5 grams/day (based on muscle mass). This approach is easier on the stomach as well as the wallet. The downside here is that it can take several weeks to reach the same level of muscle cell saturation as a loading phase. Though creatine supplements have been around for decades, there is still a debate as to when to take creatine. In fact, nutrition experts have only gotten further apart on this topic. For years, creatine was taken as part of a pre-workout regimen. Then it was experimented with as part of a post-workout cocktail including protein. More recently, a “timing doesn’t matter” approach has gained popularity. Taking creatine prior to a workout seems logical. A serving right before exercise theoretically allows for muscle saturation, leading to a better workout. However, this theory was quickly debunked because of the time it takes creatine supplements to convert and be stored as creatine phosphate within muscle tissue. Studies conclude that creatine consumption before exercise had no real benefit on that specific workout . In addition, creatine draws fluid into the muscle, (muscle volumizing) which when coupled with high intensity exercise can cause dehydration. The thought behind post-workout ingestion is simple enough as well. If you deplete a fuel source during exercise, you must immediately refuel. The flaw in this theory also lies in the fact that creatine needs time to fully saturate muscle tissue. Recent findings support that the best creatine timing is to take small doses at a consistent time every day. This allows for creatine to consistently maintain muscle cell saturation. So put it by your bed or toothbrush to remind you to take creatine every day. In addition to timing your creatine consumption, researchers have looked for the most efficient method to absorb creatine once ingested. In the mid-90s a breakthrough was made when scientists discovered insulin assisted creatine absorption into muscle cells . After a meal – especially one heavy on carbohydrates – blood sugar levels increase. This signals the pancreas to release insulin. Insulin then helps our cells absorb nutrients such as glucose and amino acids. Since creatine has a structural likeness to several amino acids it is also transported into the cell with insulin’s help. The amount of carbohydrates (pure glucose) given to the original test subjects would be impractical for anyone actually supplementing with creatine. But a more useful study was conducted in 2000 that suggested a 50/50 combination of protein and carbohydrates had the same response as the original high-carb approach . The easiest application is to mix 3-5 grams of creatine in 8-16 oz. of a non-acidic fruit juice and consume with a meal containing protein. Some already consume a simple carbohydrate after a workout along with a protein shake. If that’s the case for you, the ideal time to take creatine would be post-workout. Again, this does nothing to speed the creatine’s conversion to creatine phosphate; it merely maximizes transportation and absorption. One of the most common concerns about using creatine is whether or not it needs to be taken in cycles. Cycling creatine means taking creatine for a set time, for example 12 weeks, followed by a period of zero consumption. The fear of taking creatine for extended periods with no time off appears to be rooted in a study conducted on rats in the 1980s. This study suggested creatine transporter molecules decreased over 3-6 months use.. However, the doses given to the rats were significantly higher than anything a human would take. Despite the lack of supporting evidence that cycling creatine is more efficient, biochemistry says the body strives to maintain an internal equilibrium. With that in mind, I suggest taking some time off from creatine to allow for a natural reset. 2-4 weeks off after 12-16 weeks of use should do the trick. Even with no human studies that indicate cycling creatine is more efficient than continuous use, many experts recommend users cycle creatine based on their experience. 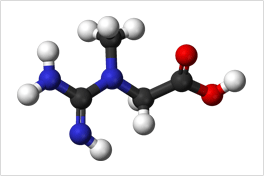 Beta-alanine is an amino acid that promotes muscular energy and endurance. A 2006 study examined its results when combined with creatine. The researchers concluded creatine’s effects were magnified when used with beta-alanine and the combination improved overall strength performance . HMB is a metabolite of the branched-chain amino acid leucine. It helps the body to repair and recover more efficiently. Research shows HMB’s benefits to be mutually enhanced when taken with creatine. These benefits include an increase in lean body mass and strength . While caffeine increases energy, caffeine has a diuretic effect on the body and can cause an imbalance in the body’s water to sodium ratio, resulting in dehydration. In addition to dehydration, there is some evidence that suggests caffeine interferes with the process of forming creatine phosphate . This single study is by no means conclusive, but consuming each supplement separately is recommended. Since insulin assists creatine transportation and absorption, several manufacturers include simple sugars, like dextrose, in their creatine supplement. In reality, it’s very simple to create a sugar stack yourself. Either purchase a fast acting carb supplement or simply mix creatine with a non-acidic fruit juice, like grape if your preferred creatine is lacking dextrose. Fat Burners – One of creatine’s biggest benefits is to help you retain lean muscle mass. This has a positive effect on the metabolism. Simply put, muscle requires more calories to maintain, which helps users shed additional fat. Pre-Workout Booster – Most pre-workout boosters contain at least trace amounts of creatine to help flood muscles with fluid during a workout and increase the “muscle pump” sensation. When taking creatine that’s already included in a pre-workout supplement, be sure to include that amount when counting your daily total. Post-Workout Supplements – Post-workout products are generally filled with recovery agents such as L-glutamine and whey protein. Sometimes they contain creatine, and this should also be counted to your daily serving size. Creatine may be best utilized directly following exercise, so most post-workout protein supplements are fantastic to stack with creatine. While creatine no serious side effects have ever been documented when it comes to creatine user, there are some issues that arise with the occasional user. But with the right use and a few guidelines even the following can be limited and even completely avoided. When creatine first hit the scene, dehydration was one of the primary concerns of physicians and athletic trainers. Dehydration seriously affects muscle function and even causes muscular damage. Fortunately, the myth of creatine causing muscle damage was debunked a few years after it became popular. In 2001, a study reported no difference in markers of muscle damage due to exercise in those using creatine compared to those who weren’t . However, creatine does have the potential to cause an imbalance in an individual’s sodium to water ratio. This is because creatine causes water to be drawn into muscle cells and out of the digestive system and other areas of the body. To combat dehydration, drink water regularly while using creatine. However, this is not saying you should be drinking like a camel during creatine cycles. More than likely, users complaining of dehydration are not drinking normal water amounts. This effect is far and away the most common and is relatively easy to correct. This is because it usually affects users consuming too much creatine, either during the loading phase or maintenance phase. The obvious solution here is to back down your dosage to more moderate servings. If the issue persists, it may just be the product itself. Either the purity or the type of creatine you’re taking can be the source of the bloating and discomfort. Many women are fearful of using creatine. This fear stems from the myth that women will “bulk up” when they take it – after all, that’s why their male counterparts use it. But this couldn’t be further from the truth. Building extreme amounts of muscle mass is a result of heavy weight lifting and above average food consumption. This bulking is also made easy by a significantly higher quantity of testosterone. Since creatine simply gives muscle tissue more energy, “bulking up” is a fear women don’t need to be concerned about. Furthermore, creatine is clinically shown to increase strength in women by as much as 25% . This is a benefit that female users can appreciate just as much as males as it will help to increase the metabolism and increase thermo genetic activity to help women burn more fat. Creatine’s role in heat exhaustion during exercise has been another fiery debate amongst users and researchers alike. Some believe exercising in extreme heat while using creatine causes the body to overheat more rapidly. A 2001 study examined this correlation in an environmental chamber set at 37°C (98.6°F) and 80% humidity. The researchers found no difference between the group supplementing with creatine and the group given a placebo. Health markers observed included heart rate, blood pressure, sweat rate, and body temperature. CCreatine has also been negatively associated with kidney health. In 2003, a 21-month clinical study examined this association. The results indicate continuous creatine use for periods lasting as long 21 months does not negatively affect signs of good health. None of the 98 college football players studied had negative changes in electrolytes, lipid profiles, muscle and liver enzymes, metabolic markers, hematological markers, and urinary measures of renal function . In conclusion, both short and long-term studies have established no side effects of recommended creatine use on kidney, liver and/or the heart. Nevertheless, if your physician or healthcare practitioner has advised you against supplementing with creatine, you should avoid it. Otherwise, creatine continues to be one of the safest and most effective supplements available to help users build muscle, add strength, increase energy, improve endurance and so much more. (1) Metzl, J.D. et al. (2001) Creatine use among young athletes. Pediatric 108:421-25. (2) Anderson, O. (1993) Creatine propels British athletes to Olympic gold medals: Is creatine the one true ergogenic aid? Running Research News 9:1-5. (3) Rae C, et al. (October 2003). Proceedings. Biological Sciences / the Royal Society 270 (1529): 2147–50. (4) McMorris T, et al. (2007). “Creatine supplementation and cognitive performance in elderly individuals”. Neuropsychol Dev Cogn B Aging Neuropsychol Cogn. 14 (5): 517–28. (5) McMorris T, et al (2006) Effect of creatine supplementation and sleep deprivation, with mild exercise, on cognitive and psychomotor performance, mood state, and plasma concentrations of catecholamines and cortisol. Psychopharmacology, 185: 93-103. (6) Korzun WJ. (2004) Oral creatine supplements lower plasma homocysteine concentrations in humans. Clin Lab Sci. 17(2):102-6. (7) Chilibeck PD, et al. (2005) Creatine monohydrate and resistance training increase bone mineral content and density in older men. J Nutr Health Aging 9(5):352-3. (9) Delanghe J, et al. (1989) Normal reference values for creatine, creatinine, and carnitine are lower in vegetarians. Clin Chem. 35(8):1802-3. (10) Lukaszuk JM, et al. (2005) Effect of a defined lacto-ovo-vegetarian diet and oral creatine monohydrate supplementation on plasma creatine concentration. J Strength Cond Res. 4:735-40. (11) Kalinski, M. I. (2003). State-sponsored research on creatine supplements and blood doping in elite Soviet sport. Perspect. Biol. Med. 46, 445-51. (12) Mujika, I., et al. (2000) Creatine supplementation and sprint performance in soccer players. Medicine and Science in Sports and Exercise 32, 518-25. (13) Pearson, D.R., et al. (1999) Long-term effects of creatine monohydrate on strength and power. . J Strength Cond Res. 13:187-92. (14) Anderson, O. (1993) Creatine propels British athletes to Olympic gold medals: Is creatine the one true ergogenic aid? Running Research News 9:1-5. (15) Francaux, M. and Poortmans, J.R. (1999) Effects of training and creatine supplement on muscle strength and body mass. Eur J Appl Physiol Occup Physiol. 80:165-8. (16) Clarkson, P.M. and Sayers, S.P. (1999) Etiology of exercise-induced muscle damage. Can J Appl Physiol. 24: 234-48. (17) Olsen, S., et al. (2006) Creatine supplementation augments the increase in satellite cell and myonuclei number in human skeletal muscle induced by strength training. J Physiol. 573(Pt 2):525-34. (18) Stanton, R, and Abt, G.A. (2000). Creatine monohydrate use among elite Australian Power lifters. J. Strength Cond. Res. 14:322-27. (19) McGuine, T. A., et al. (2001). Creatine supplementation in high school football players. Clin. J. Sport Med. 11, 247-53. (20) LaBotz, M. and Smith, B. W. (1999). Creatine supplement use in an NCAA Division I athletic program. Clin. J. Sport Med. 9:167-9. (21) Spriet, L. L. (1995). Anaerobic Metabolism During High Intensity Exercise, in Exercise Metabolism. Hargreaves, M., Ed., Human Kinetics, Champaign, IL, 1-36. (22) Sheppard, H. L. et. al (2000). Use of creatine and other supplements by members of civilian and military health clubs: a cross-sectional survey. Int. J. Sport Nutr. Exerc. Metab. 10:245-59. (23) Rawson, E. S. and Volek, J. S. (2003). The effects of creatine supplementation and resistance training on muscle strength and weight-lifting performance. J. Strength Cond. Res. 17:822-31. (24) Nissen, S. L. and Sharp, R. L. (2003). Effect of dietary supplements on lean mass and strength gains with resistance exercise: a meta-analysis. J. Appl. Physiol. 94:651-9. (25) Terjung, R. L., et al. (2000). American College of Sports Medicine roundtable. The physiological and health effects of oral creatine supplementation. Med. Sci. Sports Exerc. 32:706-17. (26) Gill ND, et al. (2004) Creatine serum is not as effective as creatine powder for improving cycle sprint performance in competitive male team-sport athletes. J Strength Cond Res. 18(2):272-5. (27) Hultman, E., et al. (1996) Muscle creatine loading in men. J Appl Physiol. 81(1):232-7. (28) Preen D, et al. (2002) Pre-exercise oral creatine ingestion does not improve prolonged intermittent sprint exercise in humans. J Sports Med Phys Fitness. 42(3):320-9. (29) Green, A. L., et al. (1996). Carbohydrate ingestion augments creatine retention during creatine feedings in humans. Acta Physiol Scand 158(2):195-202. (30) Steenge, G. R., et al. (2000) Protein and carbohydrate induced augmentation of whole body creatine retention in humans. J. Appl. Physiol 89:1165-71. (31) Guerrero-Ontiveros ML, and Wallimann T. (1988) Creatine supplementation in health and disease. Effects of chronic creatine ingestion in vivo: Down-regulation of the expression of creatine transporter isoforms in skeletal muscle. Mol Cell Biochem, 184:427-43. (32) Hoffman, J., et al. (2006) Effect of creatine and beta-alanine supplementation on performance and endocrine responses in strength/power athletes. Int J Sport Nutr Exerc Metab. 16(4):430-46. (33) Jówko E., et al. (2001) Creatine and beta-hydroxy-beta-methylbutyrate (HMB) additively increase lean body mass and muscle strength during a weight-training program. Nutrition. 17(7-8):558-66. (34) Vandenberghe K., et al. (1996) Caffeine counteracts the ergogenic action of muscle creatine loading. J Appl Physiol. 80(2):452-7. (35) Rawson, E. S., et al. (2001). The effects of creatine supplementation on exercise-induced muscle damage. J. Strength Cond. Res. 15, 178-184. (36) Vandenberghe, K., et al (1997) Long-term creatine intake is beneficial to muscle performance during resistance training. J Appl Physiol. 83, 2055-2063. (37) Kreider, R. B., et al. (2003). Long-term creatine supplementation does not significantly affect clinical markers of health in athletes. Mol. Cell. Biochem. 244, 95-104. (38) Pline KA, and Smith CL. (2005) The effect of creatine intake on renal function. Ann Pharmacother. 39(6):1093-6. (39) Rawson ES, et al. (2004) Effects of repeated creatine supplementation on muscle, plasma, and urine creatine levels. J Strength Cond Res. 18(1):162-7. (40) Schroder H, et al. (2005) Risk assessment of the potential side effects of long-term creatine supplementation in team sport athletes. Eur J Nutr. 44(4):255-61. I would like to request a HPLC Test Method for Creatine Hydrochloride.